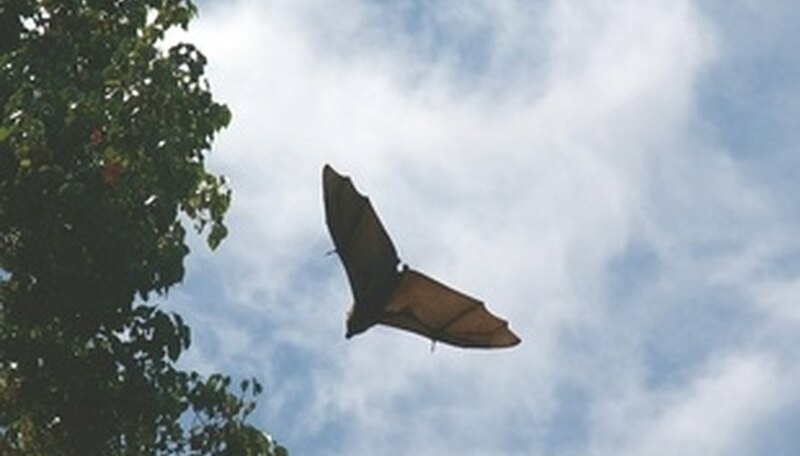 Bats stay in dark and enclosed areas that can protect them from predators and bad weather. They can be found in caves, but with the increase of homes being built they turn to chimneys, attics and sheds. Bats are small animals that can fit in a crack as small as a quarter inch wide. The female bat will have her babies in the months of May and June and will search for a place to have them such as a chimney. It is best to take preventive measures of having bats in your chimney before a problem occurs. Check the outside of your house for small openings near the chimney. Take notice if bats are leaving from any of these cracks and/or from your chimney. They tend to leave a house around 15 minutes after the sun has gone down. Go on to your roof and place a chimney screen on top of your chimney. Do this once the bats leave at night. Do this after November to make sure that you do not block in baby bats that do not have wings yet. Using a screen will prevent bats from coming back into your chimney. Place a bat excluder on areas where bats may be leaving from cracks near the chimney. This will allow the bats to leave, but they will not be able to get back in. Put up a few bat houses to give the bats another place to stay. Put the bat houses up before May so that the bats will become familiar with them and use them. Bats eat insects, so it is actually helpful having them around. Call an expert to remove the bats if you can not wait until after November. They can remove the bats without harming them and place a chimney screen to prevent others from entering. Do not try using repellents to keep bats out of the chimney. Bats have a high tolerance to odors and will not be very affected. Avoid harming the bats. Hageman, Laura. "How to Get Rid of Bats in Chimney." Sciencing, https://sciencing.com/rid-bats-chimney-5655636.html. 24 April 2017.